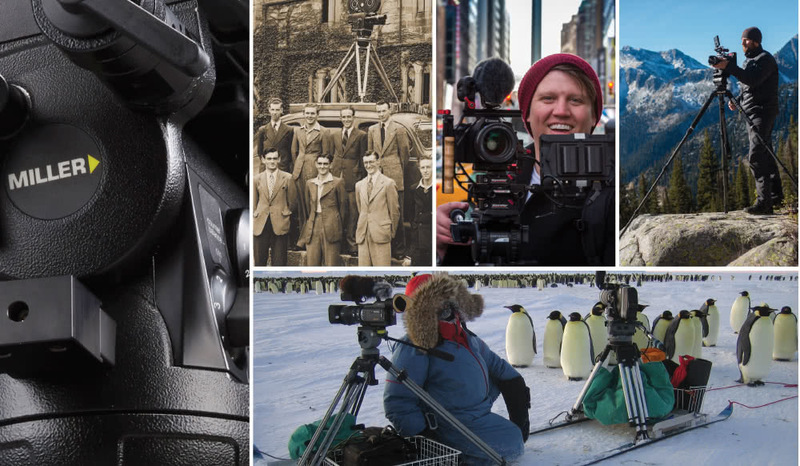 Some camera support innovations are so fundamental that it is impossible to imagine the world of television camera-work without them. The fluid action head, first patented by the Australian company Miller, is a perfect example of one such innovation. Before Bob Miller invented the world’s first fluid head in 1946, camera operators had no option but to work with bulky and expensive gear-driven assemblies whereby panning shots were tricky and diagonal moves virtually impossible. 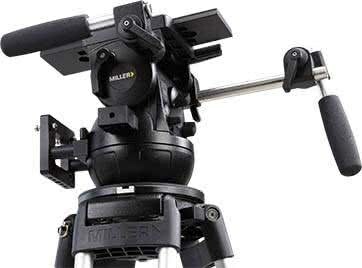 Miller fluid heads revolutionised the film and television industry by giving operators the freedom to shoot far more creatively, reduced production time and achieved shots that were previously unobtainable. Sixty plus years on and with more than 200,000 systems in use globally, Miller products feature in electronic news gathering, electronic field production, as well as cinema and television productions in world leading networks, production houses, corporate, educational and government institutions in more than 65 countries. 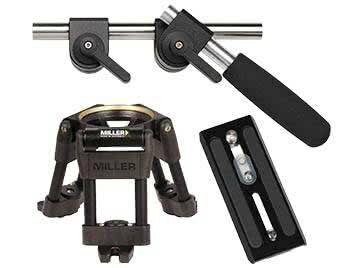 Miller Camera Support Equipment is a company solely dedicated to designing and manufacturing fluid heads, tripods and ancillary camera support equipment. Each product is made by passionate, zealous and highly skilled craftsmen whose combined number of years of experience adds up to many centuries. 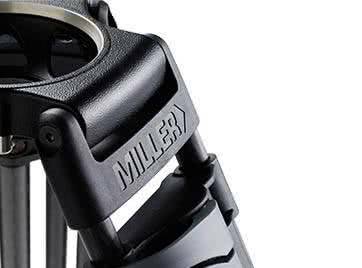 Miller products are made from the highest quality, environmentally-friendly materials, and manufactured using high precision CNC machinery, modern manufacturing processes under strict quality control. Each product is tested to a stringent tolerance and performance regime through multiple levels of quality control, starting at raw material level, followed by component level and finally at finished product level and then before the product is shipped, a final check is made before packing. Good design combined with stringent manufacturing and quality control results in many years of trouble-free service, evident by the large number of Miller products, sold many years ago, that are still in use. These organisations use Miller because it is the trusted brand of the industry, an enduring reputation earned over the years for the reliability, robustness, quality and after-sales support of its products. It is therefore comforting to know that when you own a Miller you are in good company. Experienced operators know that reliability is crucial, and trust Miller particularly when working in remote and difficult conditions. Miller’s obsession with quality is legendary, emanating from its uncompromising strive to reach the highest quality standards. Miller’s three-year Parts and Service Warranty is a testimony to the company’s confidence in its products. In the unlikely event that service assistance is required, Miller has a global service network of factory-trained staff who are always ready to assist and provide peace of mind. Quality, reliability and peace of mind. Miller - the right feel - enabling users to imagine, create and tell their story. If you ask any camera operator what they consider to be the most important piece of equipment on a shoot, they will most likely tell you a rock solid tripod and a smooth fluid head. 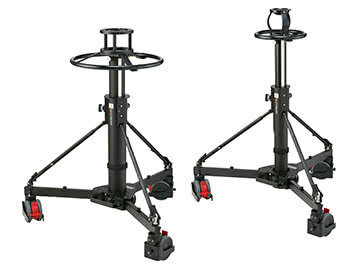 When choosing a fluid head and tripod, think ahead five years plus, because this piece of equipment, will most likely be still with you then. Will it still do the job? 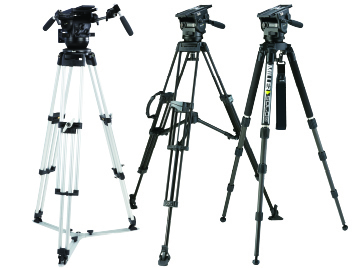 Choosing the right fluid head and tripod system depends on many factors for example, the type and size of your camera, your shooting style and the locations your work will take you to and then finally budget. Don’t be afraid to stretch the budget. Most people regret having skimped down the track. Think of the cost of losing work due to bad equipment, not the price you pay for good equipment. Miller warrants that all products in this catalogue to be free from defects in material and workmanship under normal and proper usage for a period of thirty-six (36) months from the date of purchase. 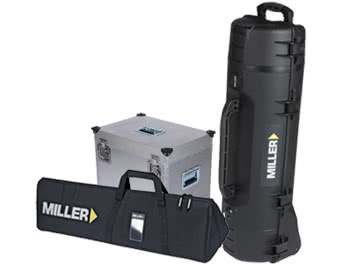 Upon presentation of proof of purchase, Miller will repair, to original product specifications, at no cost for parts and labour to the purchaser.